A renewal of vows ceremony is a beautiful way to celebrate an anniversary or to reaffirm your love for each other at any time in life. Perhaps your first wedding was in a registry office and you now want to have the ceremony you desire. Or you may have got married abroad and want to celebrate with friends and family at home. You may have even been through a tough time in your life and are looking to reconfirm the love you share for your partner and look towards the future. Whatever your wishes, I will write and deliver the ceremony you want. Your celebration can be small and intimate or a large party and can include readings, songs and meaningful symbols that reflect your relationship. 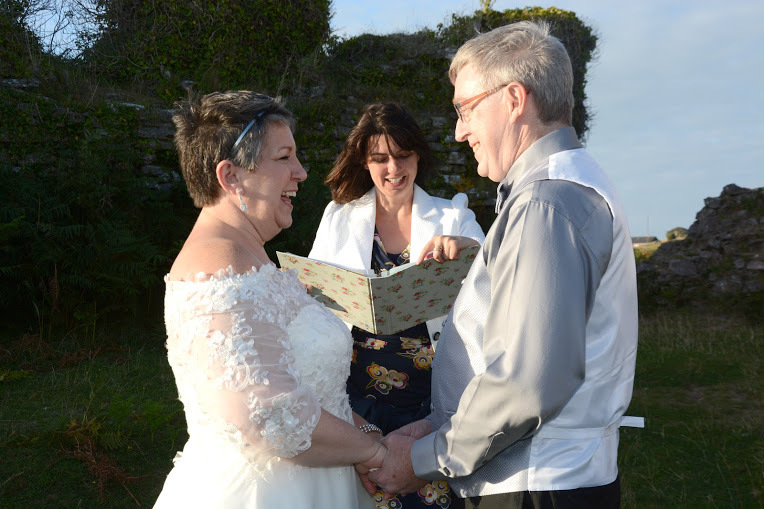 You can renew your vows in any surroundings - on a beach or in a forest, in a castle or your favourite pub, or at the place you first met each other. A Renewal of Vows certificate can also be presented.